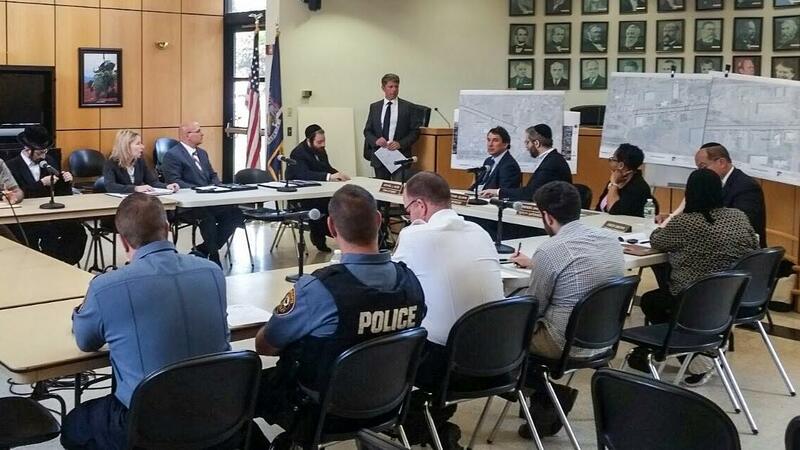 Rockland County Legislator Aron Wieder joined other officials Thursday at Ramapo Town Hall where DOT Regional Director Todd Westhuis revealed several action steps that are to begin in July. New City, NY (June 30, 2017) – Rockland County Legislator Aron B. Wieder continues to call for safety and other improvements to the Route 59 corridor where a mother and three children were struck by a car and critically injured while walking along the shoulder. He also praised Gov. Andrew Cuomo for reacting quickly to the situation and said the state Department of Transportation’s plans for upgrades are sorely needed. “It shouldn’t take a terrible tragedy like the one we witnessed this week to address one of the busiest stretches of Route 59, a well-traveled and well-worn thoroughfare that is long overdue for significant upgrades to keep both pedestrians and vehicles safe,” Wieder said. Wieder has called for improvements to Route 59 multiple times, most recently submitting a letter to the New York Metropolitan Transportation Council requesting funding to allow significant infrastructure improvements. NYMTC oversees regional transportation planning funding. Just minutes after the accident June 24 accident, Wieder inspected the scene himself and immediately called upon state officials to address the problems of Route 59 – a state road. Wieder joined other officials Thursday at Ramapo Town Hall where DOT Regional Director Todd Westhuis revealed several action steps that are to begin in July. They include the installation of signs that direct drivers not to pass or drive on the shoulders, and special striping on the shoulders of Route 59 near the area where the accident happened. Westhuis also gave an update on the Lower Hudson Transit Link, a $92 million regional program that includes a new bus system and numerous improvements between Suffern and Port Chester. The project will include the installation of sidewalks on both sides of the busy roadway between Route 306 and Spring Valley High School. Construction is to begin in 2018. Wieder said the promised work is a great beginning, but that a comprehensive study should be done and that the widening of Route 59 is needed to accommodate the increased pedestrian and vehicular traffic that has resulted in recent years. Other busy stretches of Route 59 have already been widened and upgraded.